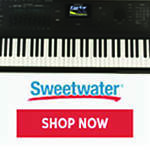 Register Log In Piano World Home Page Forums Piano Forum Yamaha LU-11 Console - Good Buy? I am looking at a used Yamaha LU-11 Console piano, made in USA circa.1983. On the outside, the piano lools fantastic and the hammers look relatively new. 1) How do I know this is not a rebuilt piano? 2) The front side of the keyboard has an ivory look, what does it mean? 3) What is the value of this piano if it is truly in good condition? 4) If I wish to purchase this piano from a national piano chain store, is it necessary to enlist the help of a tuner-technician? The LU11 was a promotional piano made by Yamaha. The quality is only fair. It sells used for about $1695-$2195, depending on dealership and services included. It wouldn't be rebuilt as it is less than 12 years old. Based on the seriel number (T 501255), Pierce Piano Atlas' charts indicate that this was made in 1983. My wife played it and it sounds quite alright. The dealer is not willing to reduce a single cent from the price of $2600. It is a very clean piano so we suspect it could have been rebuilt. If it was re-built, how can we tell? Please advise. We are located in Bay Area, California. Pikabee, what's your concern with the piano being rebuilt? To my understanding, which is admittedly limited, a rebuilt piano that is fairly new--like the one you're looking at--might possibly need to have new hammers, flanges, key bushings, or backcheck leathers, only if it has been overplayed or abused. And in any case, I can't envision the pinblock, strings or soundboard needing any major work so early on. But if the piano was indeed subjected to excessive wear, and the worn parts have been rebuilt/replaced, what you should have is an instrument that's basically as good as new, unless someone very unskilled or careless performed the work. 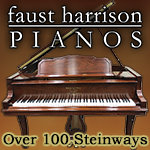 Rebuilding is labor-intensive, and therefore costly, so it seems unlikely anyone would even bother to invest that expense on such an inexpensive piano! Anyway, most techs will meet you at the store and thoroughly check it out for you, for a reasonable fee, and that will give you some peace of mind, if you really happen to like that particular instrument. And if you're really serious about buying, I also suspect that the dealer might budge a little bit in price when he sees you're ready to deal. P.S. As for the discolored keyfronts, I have seen that on some of our imported used Asian pianos, and it appears to be a result of natural oxidation due to the use of inferior resins, different from the keytops. This may be remedied on occasion by light sanding. Thank you for your post, Jimbo. 1. I am looking for a piano for an intermediate-advanced player who is looking to move overseas in a year or two. Budget is limited at $2500. 2. So the two obvious inexpensive options I see are to either buy the 20-yr old LU-11 or rent a 30-yr old U1 for $60/month. Yes, we are trapped in Bay Area, CA pricing. 3. If anyone can comment on the resale value of the LU-11 in two years, that would help. 4. Another question is: Is the LU-11 a good enough piano for such a player to practise on, say with a 2-3 hrs/day practise schedule. I strongly suggest that you go for the U!. The LU11 is a very cheaply made model while the U1 is a workhorse. PARTICULARLY since it will be shipped overseas. I personally don't think the LU11 would survive the trip and be able to satisfy an intermediate player. In fact, it probably wouldn't satisfy an intermediate player without the trip. Look at the back of each piano! Look at the mass of the plates. No comparison! The U1 is very well built and sturdy. The LU11 isn't. If you put two Piano Technicians in the same room ,, you get three opinions and four political parties.. There are very substantial differences between the M1A and the LU11. And, in this case, they are even more important to consider. The LU11 was one of the first pianos to come out of the Thomaston, GA factory. The workmanship was not particularly good. The M1A and the U1 were made in Japan and of much better workmanship. The LU11 was made of particleboard (I believe this was before the move to MDF). The M1A and the U1 cases were made of plywood. The plywood construction will travel much better, particularly in an overseas shipment wheer mositure during shipment is high. Additionally the LU11 has only two backposts, while the M1A and U1 had 4 or 5. 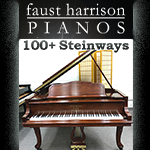 This adds structural support that is a significant advantage in a piano destined to be shipped overseas. While some of these differences are not very significant to a shopper looking for a livingroom piano, one who plans to ship it overseas would fair MUCH better with the U1. Also, this piano is intended for an intermediate player. The LU11 is a joke in tone quality and responsiveness next to a decent U1. The LU11 may not have been the "Rolls Royce of Yamahas" but I didn't mind tuning them at all when I worked for a dealer that sold them here in the San Fernando Valley. In that sense I think it was a suitable introductory piano for the rank amateur or for parents putting their children's piano commitment on probation. We did notice a significant difference in the construction of the LU-11 vs the U1. The LU-11 would unlikely survive the transportation overseas so we would indeed like to sell it locally, then get another piano at the next destination. We are essentially looking for a temporary piano, something that is decent for these two years, hence our two options of either a Rental 1970 U1 vs Purchasing a 1983 LU-11. With our tiny budget of $2500, is there anything else out there worth looking at? Thank you for all advice and comments. Hello! I know this was posted 7 years ago...but I can't seem to find a more updated answer to what would be the actual value of the LU-11, Ser. No. T502710? I happen to have one, still in "like new" condition. I have taken excellent care of this piano which has been moved only twice since I had it, and by professional movers. I am a retired music teacher (certified K-12, with a double major, Music Ed. K-12 and Piano). I purchased it "almost new" from a local music store with whom I dealt on a regular basis. I was not able to afford more at that time, but, quite honestly, I have been extremely pleased with this piano. I am NOT a concert pianist, by any means, though I aspired to become one. I couldn't afford the higher priced instruments, but made this one sound quite good, thank you. But, I'm now retired, and my husband and I are going to sell most everything in the house, except for family heirlooms, etc., and fulltime RV for some time. What would be a fair price to ask for this instrument, if you consider absolutely no flaws on the inside or outside (and no discoloration of the keys, actually, since I keep them covered with the original cloth). 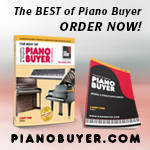 I understand completely that there are "better" quality and sounding instruments, but I really have enjoyed this piano. I'm offering it for sale to someone with a daughter who has been studying piano for 3 years in elementary school, and her teacher is encouraging her parents to get an acoustic piano. She is still in elementary school. Wow... that's a big transition for you. I'll bet you'll really enjoy it! Your console piano left the factory in 1983, making it 27 years old. I service one about the same age. Notably there are no front legs, making it a "continental" style piano (correct?). What color is it? Just as a wild estimate, I'd say that as a sale to another private party, a fair price would be in the range of $1,500 to $2,500. Condition is the most important factor; as a music teacher, I would expect it's seen fairly heavy use. Have you had any work done on it besides tuning? Ask your tuner for an estimate, as well. Wow....I'm finally back, and see your response. We did sell it, but for $1000. I guess they got a darned good buy because it wasn't heavily used. I didn't use it for piano lessons, but only for my private use, and when accompanying students for solo and ensemble practice. We have traveled for a year, and now have a home...actually larger than we had. I have an opportunity to buy a Knabe baby grand piano, 1949 and in excellent condition except for a slight fading of the mahogany wood color on one side. Checking on the condition, but apparently it was kept in great condition, tuned regularly and appraised at $6,000 - $6,500 by a local piano vendor. The seller is asking $3500, however, and wants it to go to someone who will use it and care for it. They are downsizing and just won't have room for it. It did belong to his parents. We're thinking of offering $2500....would that be an insult to them? Not sure...but met them at a local store, and that's how I found out about it. I was looking at a piano there where the auctions take place. Last edited by FrancesR; 11/20/13 11:22 PM.